Despite decades of Nelson Mandela denying that he was an official member of the South African Communist Party (SACP) during his Soviet-backed war on the Apartheid government, evidence uncovered recently by British historian Stephen Ellis shows otherwise. The new research confirmed that not only was the African National Congress (ANC) leader a member of the SACP, he may have actually been a senior official working with the party’s Central Committee. Still, for 50 years, while admitting that he was influenced by Marx and other communist luminaries, Mandela has denied — in public, at least — that he was an actual member of the Communist Party. But now, documents discovered at the University of Cape Town by Stephen Ellis, a professor based at the Free University of Amsterdam, completely contradict Mandela’s bogus claims. Among other evidence, Ellis found minutes from a secret SACP meeting of top leaders in 1982. The papers document a high-level Communist Party functionary’s discussion about Mandela having joined the SACP around 20 years earlier. That would mean he joined in the beginning of the 1960s, probably 1961 or 1962, well before he was prosecuted for, among numerous other crimes, membership in the outlaw party backed by some of the most ruthless tyrants on the face of the Earth. Article Mirrored from New American. Read more here. 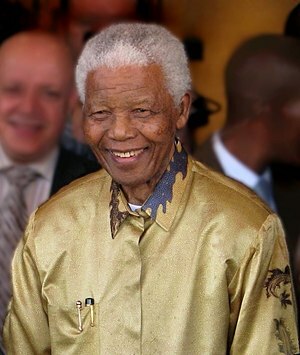 This entry was posted in News Archive and tagged African National Congress, Communist Party, Mandela, Nelson Mandela, South Africa, South African Communist Party, Soviet Union, University of Cape Town by renaissancelearningfoundation. Bookmark the permalink.